Abuja that two people who made “crucial statements” during the investigation into the alleged fraud case involving Murtala Nyako, a former governor of Adamawa state, died mysteriously. Odofin told the court that the two deceased were very vital to the prosecution of the case. 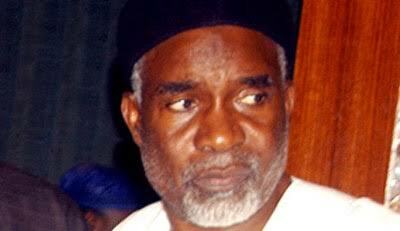 Nyako is being prosecuted by the commission, alongside his son, Abdul-Aziz Nyako, Abubakar Aliyu and Zulkifikk Abba, on a 37-count charge of criminal conspiracy, stealing, abuse of office and money laundering to the tune of N29 billion. Odofin told the court that one Mohammad Maj. Iro, who was the general manager of Zenith Bank Plc and the account officer of 200 accounts belonging to the state, died after making “crucial statements” at the time of filing the case in the court. The detective told the court that the commission also extended invitations to one Dalhatu Abdulmalik, cousin to Nyako and the director of Ameak Investment Limited, who also died after giving his own statement. The detective said Maj Iro pulled out over N800 million from the state’s account and credited it to Crust Energy Limited, the 9th defendant in the case, while taking orders from Nyako. “The behaviour of these accounts, showed how money was being withdrawn in multiple of Ten Million Naira on different dates, running into billions of naira, by late Mohammad Maj. Irom,” Odofin said. “The question is, why did Maj Iro withdraw money from Adamawa state account, without being a staff of the state government? Investigations revealed that memos were originated from permanent secretaries of the SSD, Mohammed Ibrahim Jidado and that of the SSG, Emmanuel Ibrahim. “Having received these cheques, Maj Iro, being a seasoned banker, pulled out these monies from the two accounts (SSD and SSG) and he starts crediting various individuals and corporate accounts, most especially, without the knowledge of the account owners. “Maj. Iro credited Zenith Bank accounts of the 5th to the 9th defendants (Blue Opal Limited, Sebore Farms & Extension Limited, Pagoda Fortunes Limited, Tower Assets Management Limited and Crust Energy Limited), out of the money he pulled out from Adamawa State account. Part of the money Maj Iro transferred to Tower Asset Management Limited, the sum of N678,000,000 (Six Hundred And Seventy Eight Million Naira) was transferred to Crust Energy on different dates. “Maj. Iro also transferred N160, 000,000 out of the money to a company called Maxion Option Limited. Statements made by Maj. Iro at the commission were tendered and admitted in evidence by the court, The Cable reports. Thereafter, the case was adjourned to November 29.